Mulligan's artful dodge when Stephen asks him whether he remembers Stephen visiting him soon after his mother died—"I remember only ideas and sensations"—appears to draw on 18th century empiricist philosophy, which posited sensory origins of all human knowledge. If so, then Mulligan is suggesting that life is a flurry of changing sense perceptions and of the concepts uncertainly inferred from them, with no firm grasp of objects or events. In such a phenomenological storm, how could he be expected to remember, much less be responsible for, a friend's mother's death, a social encounter, a hurtful utterance? Thornton hears in Mulligan's sentence the influence of John Locke. In book 4, chapter 11 of An Essay Concerning Human Understanding, titled "Knowledge of the existence of other things," Locke argues, "We can know of the existence of other things only by sensation. No idea you have in your mind has any necessary connection with any real existence. . . Merely having the idea of a thing in your mind no more proves its existence than the picture of a man is evidence of his existence in the world, or than the visions of a dream make a true history." Locke's skepticism is not thoroughgoing. He believes that we can be certain of our own existence, and of God's, and he is persuaded that we can obtain useful knowledge of a world external to our own minds. But he argues that every idea we have about things outside us, including other human beings, is drawn from sensations. These may well correspond to something actual, but they do not do so necessarily or exactly. Some 18th century philosophers drew from Locke's empiricist epistemology the conclusion that reliable understanding of the external world is impossible, since one knows only one’s remembered "ideas" of subjective "sensations." Among the entities effaced by such subjective skepticism are other subjects, and Mulligan is happy to use a theoretical explanation of such effacement as an excuse for self-centered hedonism. He conveniently omits to mention any moral sensations that might have formed in his consciousness as a result of speaking so callously about his friend. Stephen too, in his very different way, shows interest in the epistemological and ontological implications of Locke's analysis. In Proteus he thinks thoughts inspired by the Irish philosopher George Berkeley, to the effect that perhaps no material world exists outside his own mind. Berkeley's radical idealism stands conspicuously opposed to the materialist philosophies of most of Locke's followers, but it too stems from the disjunction between sensations and objects that Locke effected. Walking along the beach, Stephen regards his sensory perceptions not as partially reliable impressions of material objects but as "coloured signs" which can be read like text to reveal an invisible, spiritual order of being. The presence of Bishop Berkeley in Ulysses suggests that it is quite possible that Mulligan has derived his view of Lockean "ideas and sensations" from some intermediary source. 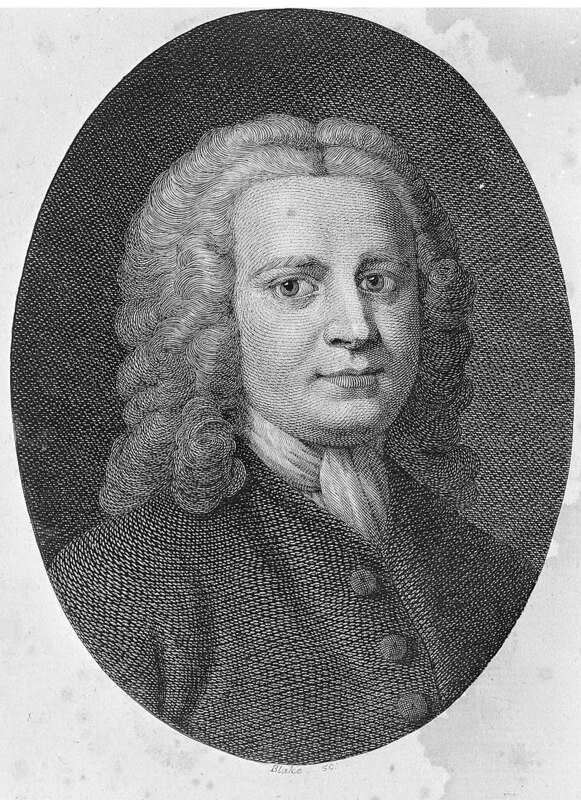 Gifford hears in the words “the essentially mechanistic concept of the human psyche developed by the English philosopher David Hartley (1705-57)” under Locke's influence. The Scottish philosopher David Hume's investigations were also shaped by the great English forebear. 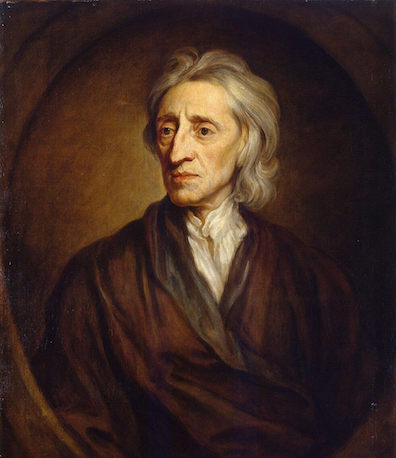 1697 oil on canvas portrait of John Locke by Godfrey Kneller, held in the Hermitage Museum, St. Petersburg. Source: Wikimedia Commons. Engraved portrait of David Hartley by William Blake in the 1791 edition of Hartley's Observations on Man. Source: Wikimedia Commons.